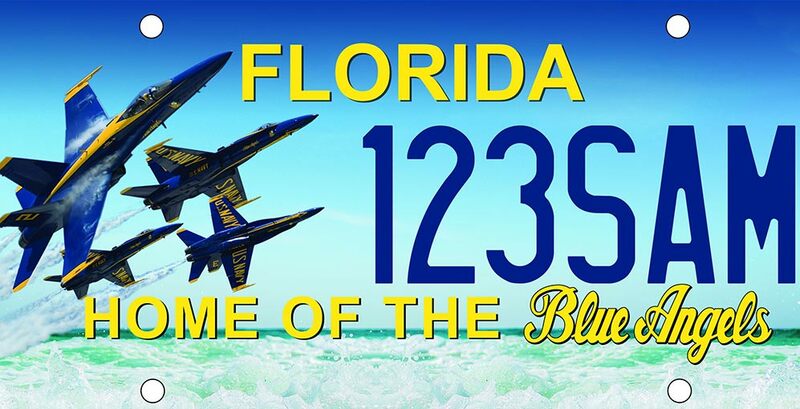 Officials with the National Naval Aviation Museum and state legislators recently unveiled plans for a specialty-designed Florida license plate featuring the U.S. Navy Blue Angels. EW Bullock is proud to announce that art director Trisha Idoni created the chosen design for the statewide license plate. The plates, which feature four blue and gold F/A-18s between the words “Florida,” and “Home of the Blue Angels,” flying over the pristine emerald waters of Pensacola Beach, could be available statewide as early as this fall. If the legislation gets approved, a portion of revenues from the new Blue Angels plates would benefit the museum and its National Flight Academy and help the museum continue its mission of sharing the rich history of naval aviation. EW Bullock is honored to have played a small role in serving the museum’s mission. For more information about the specialty plates, please click herefor the PNJ article.